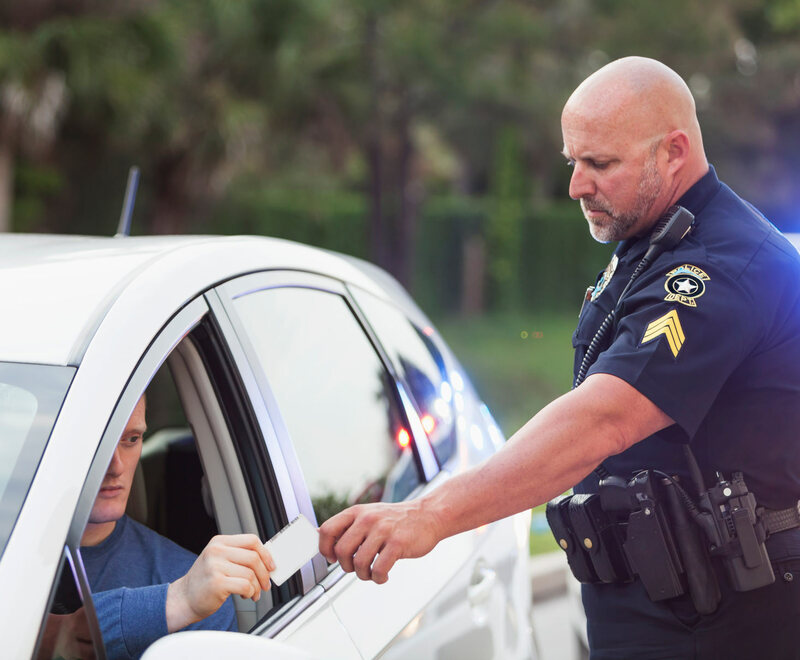 If you are pulled over for a traffic violation, what should you do? 22 Feb If you are pulled over for a traffic violation, what should you do? When you are pulled over, the police officer will ask for your license, registration and insurance card. But before that happens, you should be prepared by having your license, registration and insurance card in a readily retrievable location, so that you can hand it to the police officer promptly upon request without fumbling. If you fumble or appear disorganized, or extremely nervous, there is the possibility that the officer will suspect you are impaired by drugs or alcohol. Consequently, you may be requested to undergo field sobriety tests. When you are pulled over, be sure to drive your car over to the right as far as reasonably possible so you do not create a traffic hazard for you or the police officer. Always be very respectful to the police officer by saying “yes sir” and “no sir,” or “yes, officer,” “no, officer,” when you are speaking to the police officer. If you are pulled over by a New York state trooper, they expect to be called “trooper,” not “officer.” If you refer to them as “officer,” you may well find that they correct you on that. You will make it easier for yourself if you show the police officer or trooper the respect he or she is entitled to. If you give the police officer or trooper a hard time, they will remember, and it could have an impact on the negotiation of a plea offer, or the outcome of the case. So, always, show the police respect. In the long run, you will make the matter easier for yourself. Most people will be nervous, anxious or angry when they are pulled over, but take a deep breath and be as relaxed as you can. It is in your best interest not to show any emotion when you are pulled over. Do not get out of the vehicle unless the police officer asks you to step out of the vehicle. Do not argue with the police officer. Maintain your composure at all times. If the police officer issues a summons to you, do not debate, argue or raise your voice at him or her. Remember he or she has a job to do. And writing tickets is precisely what the job description entails.